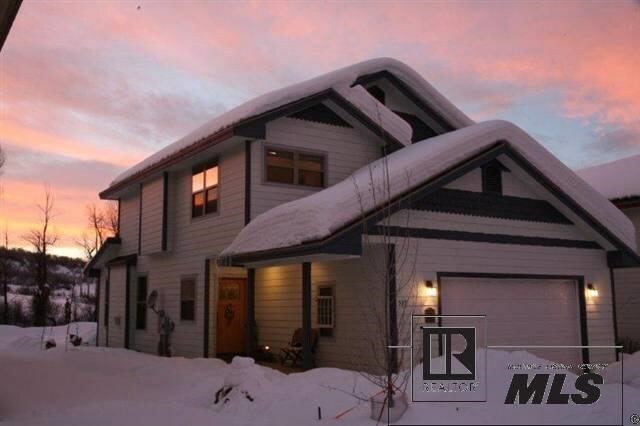 Superb home in a super-friendly Steamboat neighborhood, located on a prime, downtown lot with seasonal and year-round amenities, i.e. : stream, front row for fireworks, Lithium Spring, wild berry picking, and Emerald Mountain bike/snowshoe trails close to your door step. Enjoy 360° views from master encompass Sleeping Giant, spectacular sunsets and the ski mountain. This four bedroom, 3 ½ bath home includes a caretaker’s apartment with separate entrance for additional rental income or use it for a great visitors quarters or a kids play area. The home is finished with fine materials such as solid knotty alder doors, bamboo floors, granites accents and enjoys a wonderful open floor plan for the kitchen/great room/entertainment area.